"Aqui vienen las camisas verdes!" (Here come the Green Shirts!) That's something we hear frequently and in many languages as TouchGlobal staff and church teams come to work with people in crisis. Earthquakes, floods, hurricanes and other disasters are open doors for us to share God's love in very practical ways. 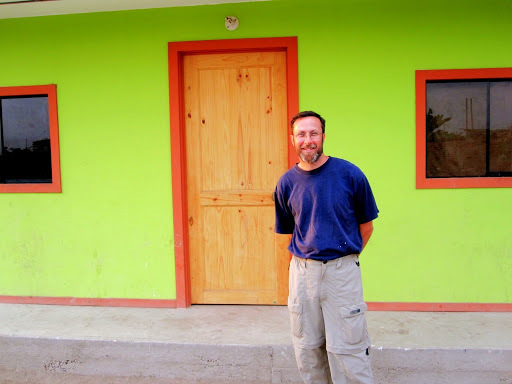 Though not wearing the well-know shirt, Mark is standing in front of one of the homes TouchGlobal built in partnership with a family of six. The new homeowners get to choose what color the paint should be. In a drab and colorless environment, it's no surprise what this joyful homeowner chose. TG green…maybe Sherwin Williams ought to expand its selection.